NYC mayor Bill DeBlasio recently took heat for deciding to open schools in the heavy snow days. One of the reasons for his decision? Many kids won't get lunch if they stay home. Is this the America you grew up in? I may be older than some of you, but this is heart-breaking. Meanwhile, both parties continue to cut social services and neither party advocates taxing the corporations, many of whom pay zero taxes. What boggles my mind is that so many of you continue to support the parties which don't support you. So go ahead and watch "real housewives" with nose jobs and weaves enjoying cocktails at lunch. Many real housewives' kids can't afford lunch unless they're at school. These kids don't have a voice--we have to be their voices. 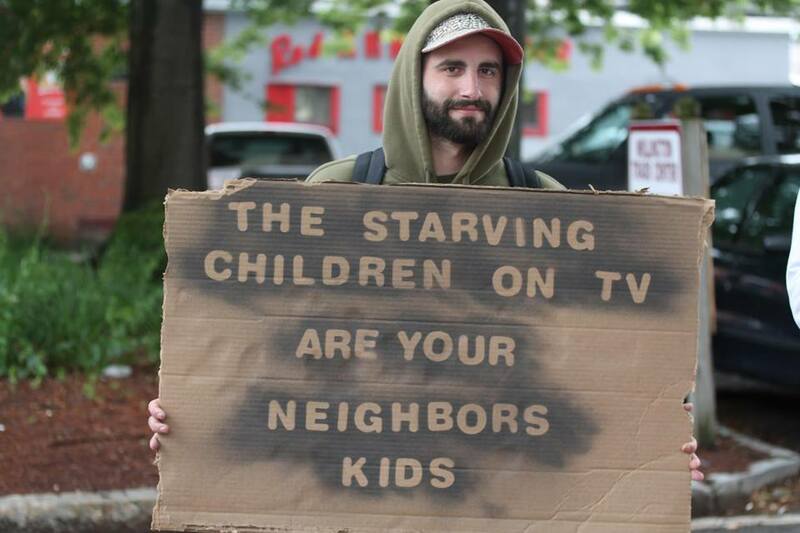 Or admit that we don't care about kids right in our own back yard who can't afford food. A "Christian" country that doesn't care about the poor is a study in hypocrisy and ignorance. A sobering report released by the United Nations Children’s Fund (UNICEF) found that out of the top 35 developed nations in the world, the United States comes 2nd to last in childhood poverty. While many of the Scandinavian and Western European countries (i.e. countries with a robust social safety net) have very low rates of childhood poverty, America only just narrowly beat Romania for the worst. Poverty is a reality for at least 22 percent of American children (and considerably higher by other estimates).